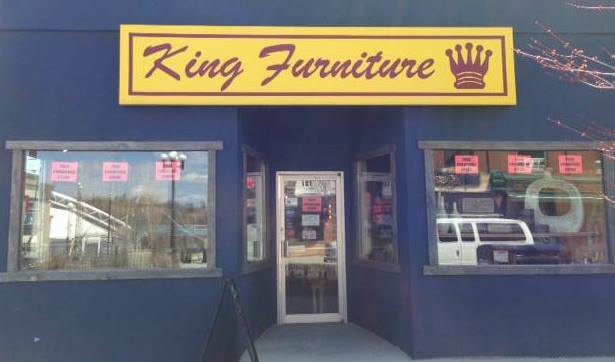 King Furniture & Mattress in Kenora, Ontario is a locally owned and operated business. King Furniture & Mattress is your source for Custom, Quality furniture décor’. We strive to provide the BEST customer service to make you our customer happy with your purchase(s) and that is why we SERVICE what we sell. We also offer upholstering services as well as delivery by boat! We are located on the corner of Main Street South and 1st Street South in Beautiful Kenora, ON on Lake of the Woods. King Furniture & Mattress carries a great selection of brand name home furnishings, mattresses, and accessories. King Furniture has a strong “quality” program, we service all of our own products. Custom order programs are in place for those looking for specific products, as we have access to many different fabrics/leathers and styles. Come see the King Furniture difference!